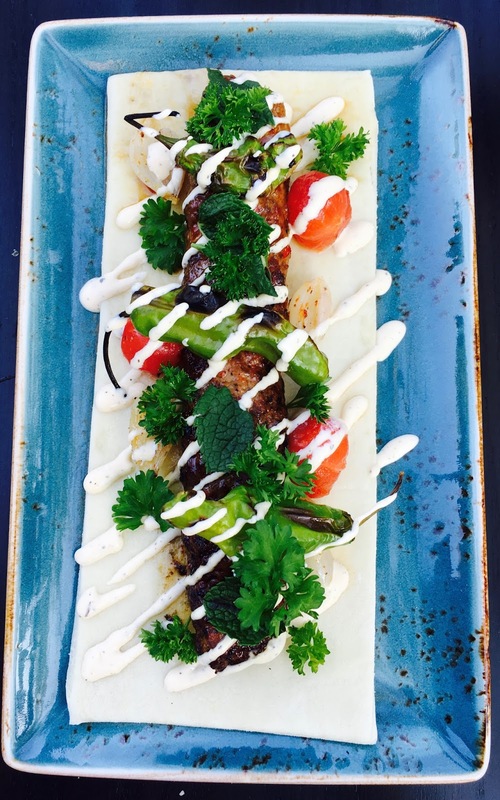 Next time you’re in the mood for Lebanese, forgo the usual shawarma and head to Ottawa’s newest Middle Eastern hot spot – Fairouz. Lola and I finally made it out to Fairouz, which is located in a lovely brick house along the Somerset Village strip. First opened in the ‘90s, Fairouz has a long standing history in Ottawa. It initially set up shop on Elgin Street, and then moved to Somerset in 1993 until it eventually closed its doors in 2005. Now, over a decade later, Fairouz has returned to its Centretown location, but this time, re-invented and re-invigorated. The restaurant itself is upscale, yet casual, with just the right amount of Middle Eastern flair. The large patio is also a bonus – perfect for enjoying great food while soaking up some rays. The kitchen is run by Chef Walid El-Tawel, who previously worked at E18hteen on York Street before he left to pursue new ventures in Toronto. But now he’s back in Ottawa and once again showcasing his culinary skills! 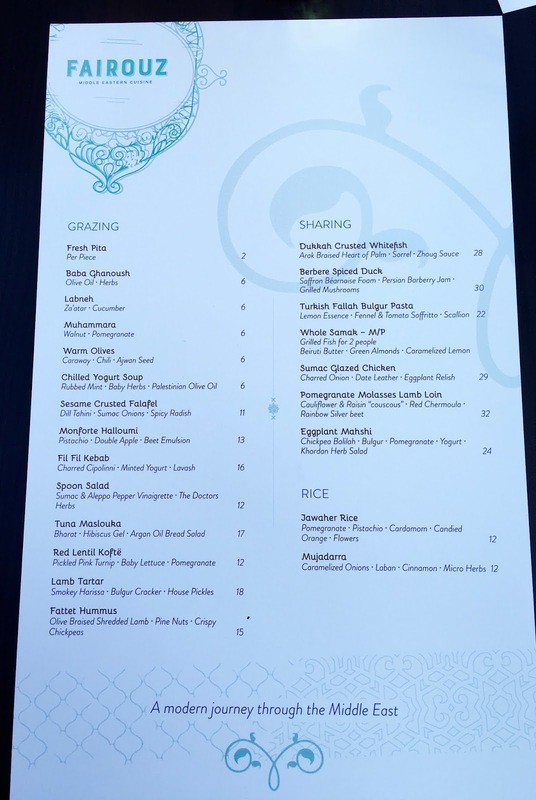 Fairouz puts a deft, sophisticated spin on Middle Eastern food, and as per the current trend, their menu is designed for sharing and is divided between ‘Grazing’ and ‘Sharing’ plates. 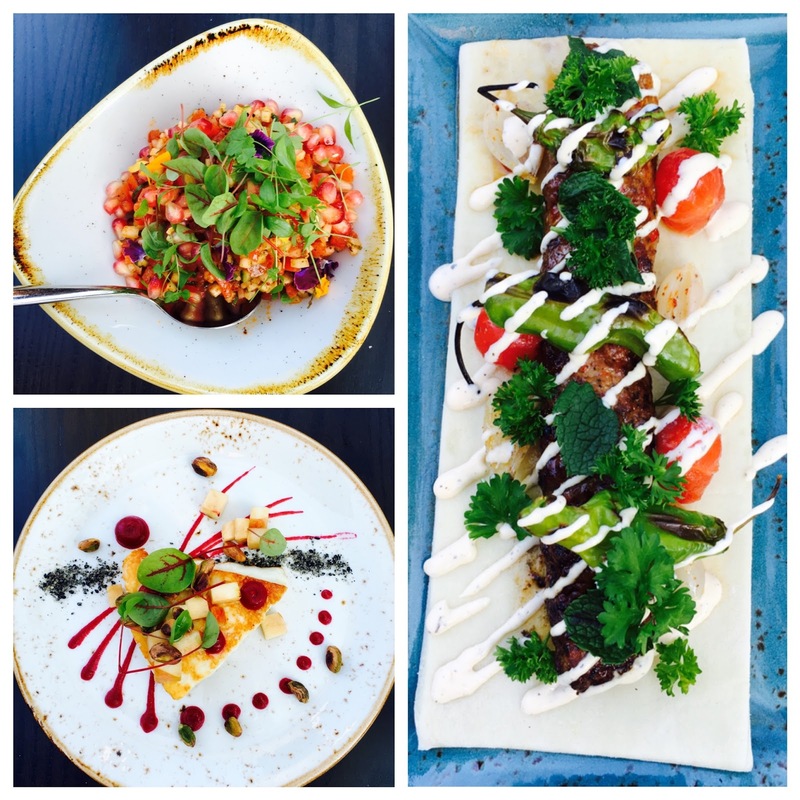 ‘Grazing’ is smaller, more tapas-like dishes, while ‘Sharing’ are larger portions. As expected, we started off the meal with some dips and pita bread. 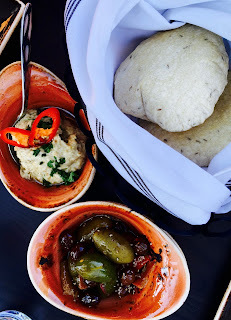 We went with the Labneh and Babaganoush dips ($6 each), which were served with hot pita bread puffed up like pillows. We also added a side of assorted warm olives ($8). The dips were tasty, the bread was fresh and the olives were flavoursome. Next up was the Spoon Salad ($12), an assortment of diced tomatoes and cucumbers mixed with pomegranates, herbs and sumac and aleppo pepper vinaigrette. The salad was light and very tasty and paired well with our other dishes. From there, we went with the Monforte Halloumi ($13). Without fail, Lola and I always order Halloumi whenever it's on the menu. So clearly, as avid-Halloumi lovers, we had high expectations for this dish….and Chef El-Tawel did not disappoint. 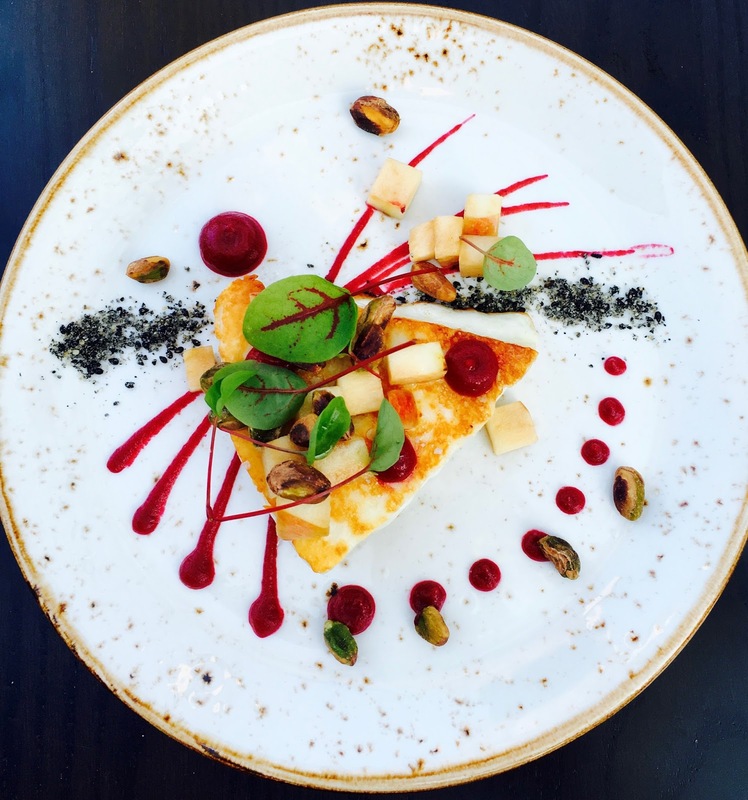 The Halloumi, which was paired with pistachios, apples and beet emulsion, was perfectly seared and was mouth-wateringly delicious. Finally, we finished off the meal with the Fil Fil Kebab ($16) – a modern twist on the typical kebab sandwich. The Fil Fil was elegantly presented and topped with charred Cipollini, minted yogurt dressing and served on fresh lavash, a thin flatbread. This dish had a little kick to it and was definitely my favourite. 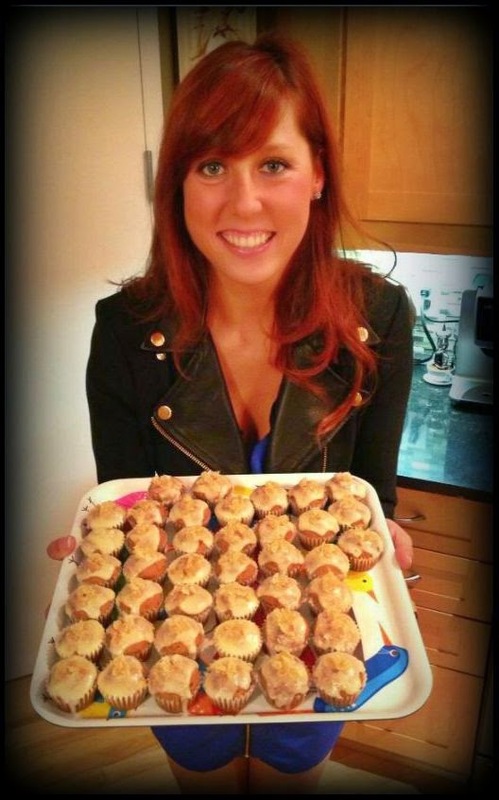 The texture and flavour combinations worked extremely well! 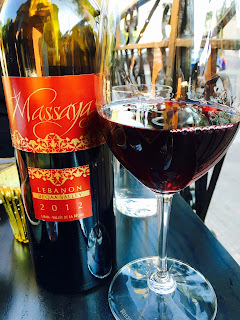 Throughout the meal, we also enjoyed a delightful bottle of Lebanese red wine, specifically the 2012 Cabernet Sauvignon from the Becca Valley. Fairouz has an extensive wine list, as well as a wide selection of beers and spirits, with many creative Mediterranean-inspired drinks. 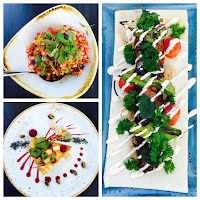 Overall, we had a fantastic time at Fairouz, and we highly recommend it to other Ottawans! 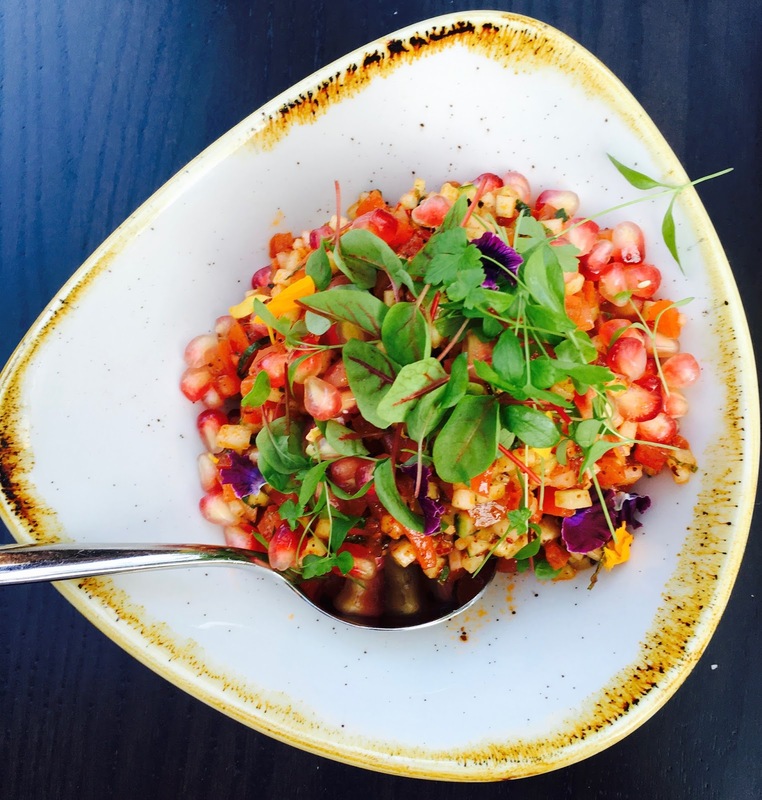 There’s tons of other tantalizing dishes on the menu, so we will have to return again soon!